uPVC and wood trims often look out of place when used to make good jobs with new aluminium windows and doors. This is because they are a poor match for aluminium. Why not use our aluminium quad trim? We have designed this aluminium quad to trim up and make good all your aluminium windows and doors. It comes in white as standard, but can also be colour matched. It can be painted in any RAL colour when supplied with our products, ensuring a perfect match. 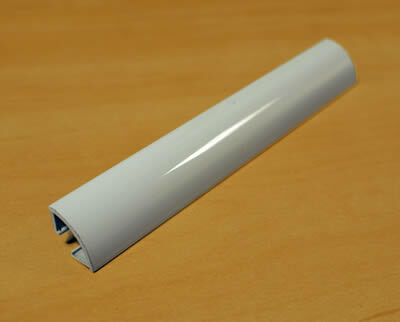 The trim is hollow so that you can simply apply the trim directly to a thick bead of silicone. We recommend the use of a self adhesive tape to hold the trim in place against your aluminium product while the silicone dries. The trim will cover the gap between wooden subframes, brickwork or window board and your aluminium windows and doors. What Is Our Quad Trim & How Does It Work? 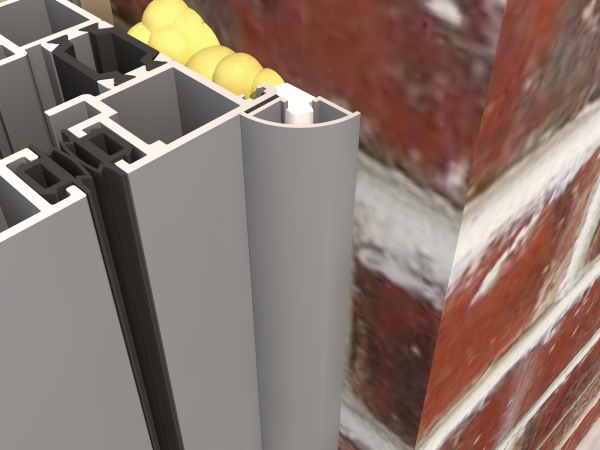 The extrusion for this aluminium quad trim is our own unique design, only available from Duration Windows. This product is new to Duration Windows and therefore more images and information will follow shortly. Please contact us to ask for more details. 15mm colour matched aluminium quadrant trim. Trim up / make good your aluminium windows and doors. Trim comes in some standard colours, and can be colour matched to your aluminium product - available in any of over 200 RAL colours. Quick and easy to install, apply directly to a thick bead of silicone. Nice clean finish with no visible pins or fixings. Duration Windows own unique design. * Our Quad Trim comes in some standard colours, or can be custom matched to your windows/doors. The most cost effective way to purchase custom matched trim is at time of ordering your windows/doors, as they will all be painted in one job lot. Purchasing trim at a different time will incur setup charges affecting the price significantly. Please note: Although we recommend the use of self adhesive tape to hold the trim in place it is not included, and is supplied by others.